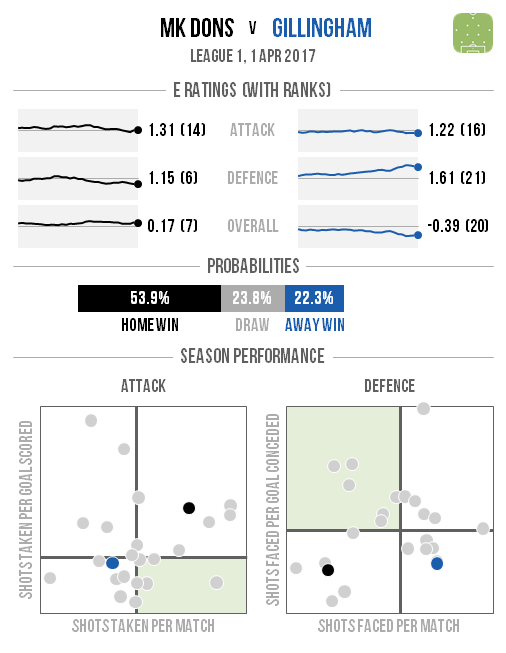 There’s a slightly reduced schedule this weekend with only 10 matches and most of those look likely to be home wins. 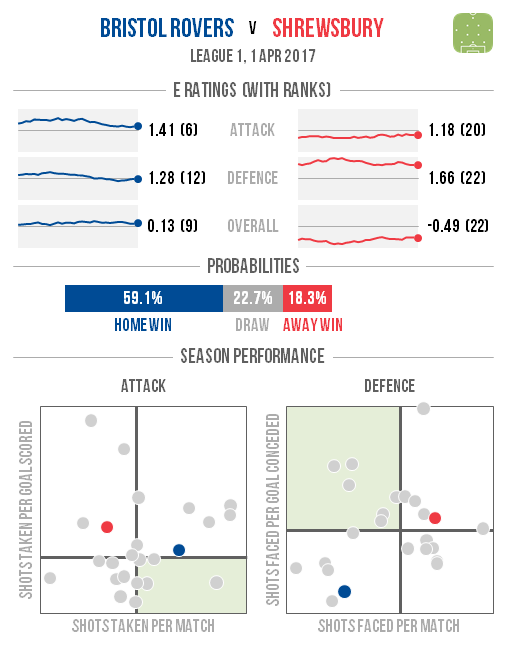 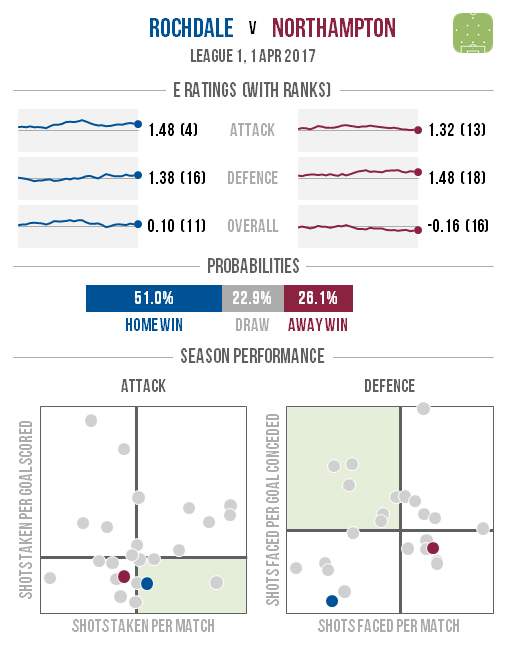 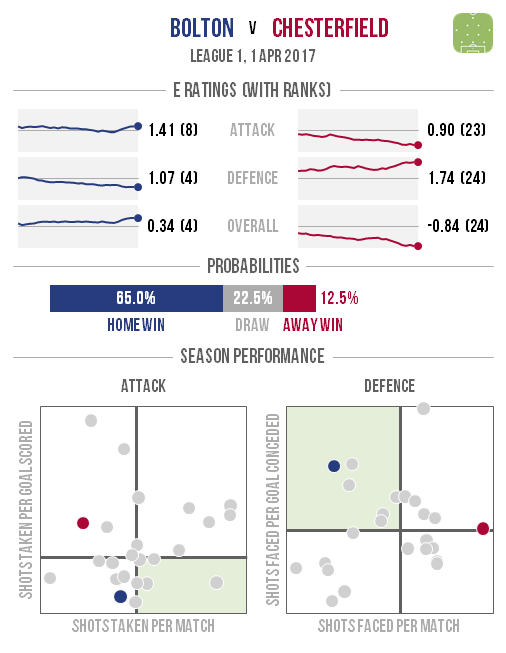 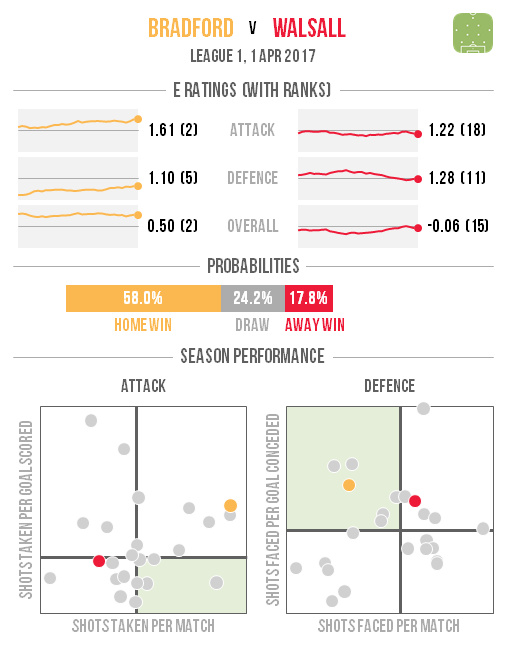 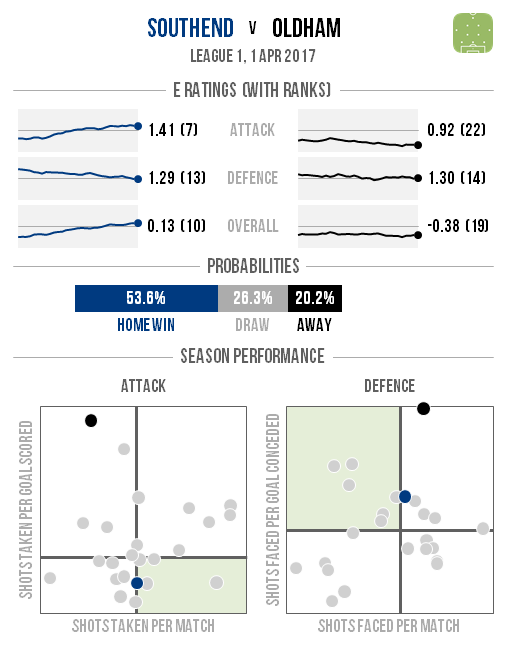 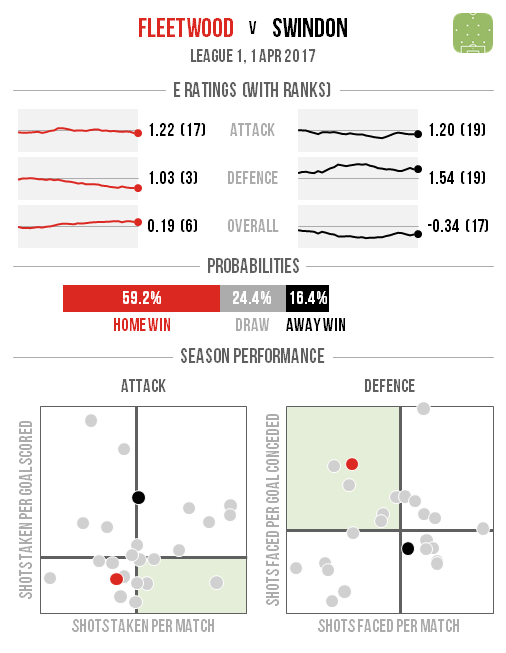 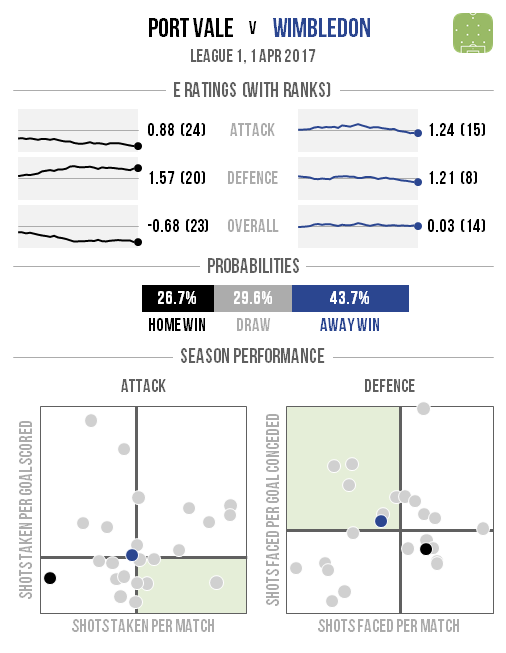 Wimbledon are the only away side who are favoured by the model, with their visit to Port Vale looking winnable. 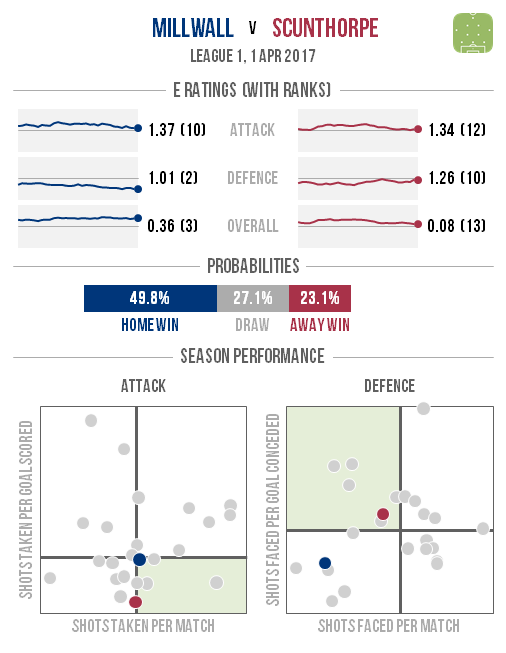 Seven of the other nine matches actually have a greater than 50% chance of a home win, so it’s not likely to be a fun weekend for travelling fans overall. 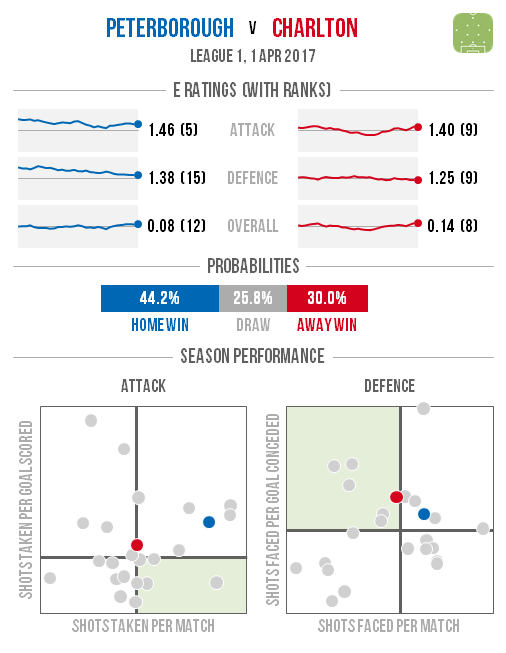 Bolton and Fleetwood have particularly winnable home matches, so the promotion race could get even more intense.